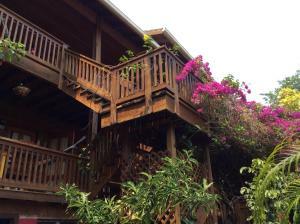 ﻿ Best Price on Mango Creek Lodge in Roatan Island + Reviews! Water accessible only Mango Creek Lodge Mango Creek Lodge Offers accommodations in Port Royal harbor on Roatan’s East End. Free WiFi is offered. The accommodations features a seating area. Some units include a dining area and/or patio. Over water cabanas with patio offering hammock and lounge chair. Mango Creek Lodge also includes a terrace. Guests can enjoy the on-site restaurant. Special diet menus and packed lunches are available on request. The property has water sports facilities and car hire is available. You can play darts at the property, and the area is popular for snorkeling and diving. You can engage in various activities, such as fishing, canoeing and hiking. Juan Manuel Gálvez Airport is 21 mi from the property, and the property offers a free airport shuttle service.